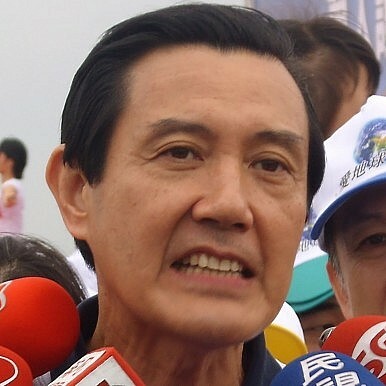 Ma Ying-jeou’s fall from grace may lead Beijing to focus its efforts on grooming allies at the grassroots level. The vagaries of democracy being what they are, it was almost inevitable that President Ma Ying-jeou’s honeymoon with Beijing would come to an end at some point. While it may be tempting to pinpoint the Chinese Nationalist Party’s (KMT) disastrous showing in the November 29 nine-in-one elections as the day when the Taiwanese president fell out of favor with Beijing, in reality that process began several months ago. 11-29 only sealed Ma’s fate — and possibly that of the party he no longer chairs. That it would come to this shouldn’t surprise us. In 2008, when Ma assumed the presidency, a majority of Taiwanese supported — or did not actively oppose — his efforts to normalize relations with China, the world’s second-largest economy. Most Taiwanese understood that the export-dependent nation of 23 million people couldn’t afford to ignore the elephant next door. Less acknowledged was the fact that thawing relations across the Taiwan Strait, mostly in the economic sphere, was made possible by the consolidation of Taiwanese identity. This is not a contradictory statement. Rapprochement with China was largely contingent on Taiwanese feeling comfortable with their identity and the status of their nation. Consequently, as long as developing ties remained within the confines of normalization between two sovereign entities, Taiwanese were willing to give President Ma the benefit of the doubt. And for a while, normalization is what occurred. The Taiwanese public wasn’t apolitical, blinded by money, or “brainwashed” by the KMT, as some hardline critics of the process posited; it simply countenanced developments that had to happen. Throughout this extraordinary rapprochement, Taiwanese never lost sight of Beijing’s political ambitions. They knew that the time would come when the natural progression of things would approach a line that should not be crossed. And sure enough, soon after Ma’s re-election in 2012, Beijing became too greedy. It started pressuring a KMT administration that was accused of not setting the agenda for cross-strait negotiations, thus putting it in a reactive position. However, as I argued in 2013, Taiwan’s democracy, and the necessity for the KMT to perform well in local and national elections in late 2014 and early 2016 respectively, would likely impose limits on Ma’s ability to deliver what Beijing wanted. The Ma administration ignored that warning in early 2014 and paid dearly when a controversial Cross-Strait Services Trade Agreement (CSSTA) with China sparked a three-week, student-led occupation of the Legislative Yuan, a dramatic crisis that nearly cost Ma chairmanship of his party. It was civil society, not regular elections, which struck the first blow, but it was democracy nonetheless. It is arguably at this moment, when the Sunflower Movement defied the president and the mighty dragon across the strait, bringing the entire process to a grinding halt, that Ma and his KMT fell out of favor with Beijing. Thus, well before the KMT was defeated in the November 29 elections, Beijing understood that Ma had been neutralized, and it quickly lost patience. Word has it that Ma is now very much the reviled figure in official circles in China. The process of dealing with the KMT, which despite seeking expediency had to submit agreements to the legislature for review, had become too slow for a regime in Beijing that, we must add, has not exactly been known for its patience since Xi Jinping took over. Unsurprisingly, this is when Beijing — using envoys, money, businesspeople and (when necessary) gangsters — intensified its efforts to deal directly with Taiwanese at the grassroots. Of course Beijing is not one to focus its efforts on a single target. The mainland has lost patience with Ma and is now acutely aware of the many challenges it will face extending its roots into the cities and municipalities that are no longer controlled by the KMT (from 15 down to six). Despite this, Beijing may still hope to get concessions from Ma before he steps down in 2016. Hence Beijing’s decision to punish Ma by “cutting short” a series of meetings with KMT officials in Beijing and by substantially reducing the number of Chinese tourists allowed to visit Taiwan, a decision that may be temporary but that is clearly meant to inflict pain on the Ma regime by punishing the sectors of Taiwan’s economy that benefit from Chinese tourism inflows. Unless the KMT agrees to become an irrelevant partner to Beijing, a highly unlikely prospect, its officials will be inclined to try to please it by giving China something in return (or by promising to do so once the KMT gets back on its feet), a phenomenon that could be compounded by signals on Beijing’s part of its willingness to engage the Democratic Progressive Party (DPP), whose prospects for 2016 seem better than ever in the wake of the November 29 elections. As Chen Deming, head of China’s semi-official Association for Relations Across the Taiwan Straits (ARATS), made clear with statements during his just-concluded eight-day visit to Taiwan, Beijing still hopes to see the CSSTA and follow-on trade-in-goods agreement passed sooner rather than later, despite the fact that implementing them under the current conditions would risk sparking a second Sunflower occupation. Chen also held a closed-door session with Wu Po-hsiung, like Lien Sr. an honorary KMT chairman and father of the KMT’s defeated candidate for Taoyuan, where a planned — and perhaps now stalled — Aerotropolis project could engender sizeable infrastructure investments by China. For reasons that remain obscure but pregnant with symbolism, Chen failed to meet Taipei mayor-elect Ko Wen-je, who defeated Lien Jr. Although Chen did not completely shut out the KMT on his visit, his interactions were mostly limited to pro-Beijing figures who have distanced themselves from Ma, are known to be favorable to large injections of Chinese capital in Taiwan, and moreover are no longer running for office. The slowdown in cross-strait exchanges brought about by the Sunflower Movement and the November 29 elections underscore the resilience of Taiwan’s democracy — a not unwelcome development, given that many had given up on the island’s ability to resist Chinese pressure. However, one unforeseen consequence may be that the nature of cross-strait exchanges could shift from a focus on government and party institutions, with their attendant modicum of accountability, to outliers who have the ability to operate outside the system and who furthermore do not need to run for office — the kind of people that Chen and, perhaps more importantly other, less visible Chinese visitors appear to have been grooming. For the foreseeable future, what goes on behind closed doors could therefore be of far greater consequence to Taiwan than the high profile and largely symbolic visits by officials like Chen. Challenged by Taiwan’s democratic institutions and emboldened civil society, authoritarian China may simply try to bypass the island’s firewall to achieve its objectives. Keep an eye out, then, for what doesn’t make the news in the coming months. Taiwan's Former President Ma Has Overseas Travel Plans ScuttledXi Jinping Turns the Screws on TaiwanWhat Does the 1992 Consensus Mean to Citizens in Taiwan?Taiwan Calls for New Cross-Strait Relations After Xi’s Strong SpeechDoes Taipei Still Hold Taiwan Is Part of the Republic of China?